Seven student actors received recognition for their performances at their respective Region One-Act plays recently. Two students from Dell Rapids St Mary earned awards during the Region 1B One-Act plays held on Wednesday, January 23rd, at the Brandon Performing Arts Center. Avery Carder won the Outstanding Female Actress, and Nick Wolles took home Best Male Actor. Five different performers were recognized from Dell Rapids High School during the Region 3A One-Act plays held on Wednesday in Madison at the Dakota Prairie Playhouse. Tim Jaycox, Bergen Weiland, Lathan Sundt, Peyton Gleason, and Kat Fletcher all received Outstanding Acting Awards. 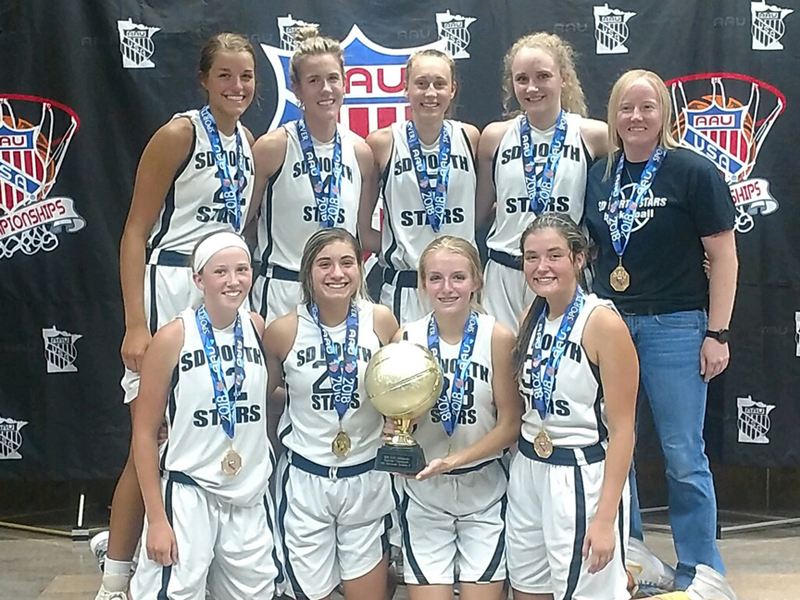 Eight groups from Dell Rapids St Mary and four from Dell Rapids earned Academic Achievement Team Awards from the South Dakota High School Activities Association for the 2018-2019 fall season. The team awards are given to varsity athletic teams and fine arts groups for their academic excellence. To receive the award, the group much have a combined grade point average of 3.0 or higher. The Football team, All-State Chorus group, Oral Interpretation group, Boys Cross Country team, Girls Cross Country team, Football Cheerleaders, Competitive Cheer team, and the Volleyball team all earned the honor from Dell Rapids St Mary High School. The Girls Cross Country team, Boys Golf team, Football team, and Boys Cross Country team earned the honor from Dell Rapids High School. Workforce education, or apprenticeships, could be part of the education curriculum at Dell Rapids as early as next year. Superintendent Dr. Summer Schultz gave a brief update on the goal of the school to have workforce education to the Dell Rapids School Board during their regular meeting on Monday, December 10th. “We have got to figure out a way to get more work-based opportunities for our high school kids. The state is telling us we have flexibility to give credit those apprenticeships, job shadowing, and things like that. The state is saying you can give these alternate pathways to kids for credit,” said Dr. Schultz. Dr. Schultz also mentioned that it’s hard to do that right now. 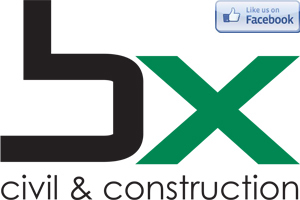 She is meeting with the Dell Rapids Chamber of Commerce and city administration over the winter months to discuss specifics of the plan and will have a more formal, detailed announcement out to the public at a later time. Dr. Schultz is also currently looking for businesses around Dell Rapids that are wanting to do apprenticeships or job shadowing to try to get this goal going for next school year. “When we figure out of every 100 kids that start college in South Dakota, 23 finish with a degree. Clearly we are missing the boat for a lot of kids, and we’re not sending them down the right path. I’m not saying we don’t want every kid to be college ready and college prepared, but if that isn’t their path and that’s not where they want to go, maybe we should provide some opportunities for them in other places also,” said Dr. Schultz. She also mentioned these opportunities would also benefit students that do want to go to college in helping them figure out a course of study. Dr. Schultz urged the members of the board if they know of any businesses in the area that are willing to provide these opportunities to please let her know. Administration is looking to build those alliances now for the next school year. Two oral interp participants have earned themselves a chance to perform at the 2018 State Oral Interp Festival. Brooke-Lynn Hawthorne of Dell Rapids and Aubry Hansen from Dell Rapids St Mary both qualified from their respective regions. Hawthorne qualified for her storytelling piece that was performed at the Class A Region III meet on Monday, November 12th at Brookings. Dell Rapids also had a few students earn alternate spots. They include Tim Jaycox in humor, Ella Lueders in serious, Jaycox and Emily Dorn in duet acting, and the reader’s theater team of Kat Fletcher, Peyton Gleason, Jaycox, Lueders, and Krystal Stange. Hansen advanced to the regions in the serious reading category after her district performance on Wednesday, November 7th in Madison. Hansen’s performance at the regional meet on Tuesday, November 13th in Sioux Falls earned her a trip to the state competition. Thomas Eining advanced through the district meet to the regions, but fell just short of qualifying for state. 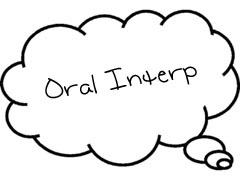 The 2018 South Dakota State Oral Interp Festival will be held on Friday, November 30th and Saturday, December 1st at the Lake Area Technical Institue and Watertown High School. Hawthorne’s storytelling category will start at 6:00 p.m. Friday at Lake Area Technical Institute. Hansen’s serious reading category will be at 1:30 p.m. Saturday at Watertown High School. 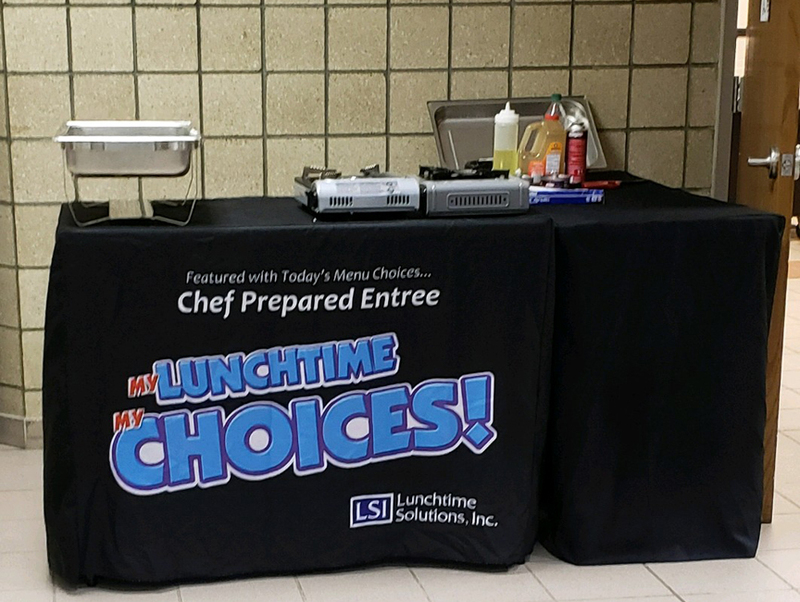 DELL RAPIDS, SD — Sabrina Slater, the new demonstration chef at Lunchtime Solutions, Inc., was in the lunchroom to cook and serve beef and broccoli stir fry on Tuesday, September 25th. Chef Sabrina created this savory dish right in front of the students and served it up hot and fresh. Preparing fresh entrees for students through chef demonstrations in the lunchroom is a regular part of Lunchtime Solutions’ food service program. 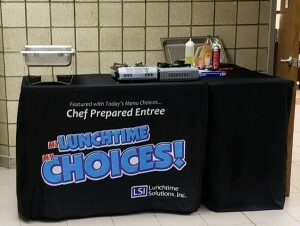 Lunchtime Solutions has operated Dell Rapids food service for the past 16 years. Chef Sabrina has nearly 15 years of experience in food service, spending three years as a cook at the famous Bellagio Casino in Las Vegas before joining the Lunchtime Solutions team. She is excited to bring her expertise into our schools to provide more healthy, fresh-made lunch choices for students and staff. Our chef-prepared entrees give them an opportunity to try foods that they may have not tried before and expose them to flavors and tastes not normally a part of school food service. Student athletes at Dell Rapids High School will be met with a new eligibility policy starting this fall for the upcoming school year. The new policy was explained by Dell Rapids High School Principal Drew Bunkers during the Dell Rapids School Board regular meeting on Monday, July 9th. Prior to this change, Dell Rapids followed the eligibility guidelines of the South Dakota High School Activities Association. Those guidelines state that the student athlete needs to pass two credits the semester prior to the current sport season to be eligible. “We looked at a situation if you played just volleyball or just football, you could realistically get to the end of your senior year with six credits and never miss a game. You would be not even close to any where near graduating, and you would have played every football game or every volleyball game as long as you passed two credits in the spring. You could flunk every thing in the fall, it wouldn’t matter, you’d play every game. You’d be ineligible for the spring, which you don’t participate in anything. You’d pass (in the spring), it resets, you play,” said Bunkers. Grade/Eligibility for activities will be determined at the midterm and end of each quarter/semester. In order to be eligible, a student must pass all of his/her academic courses. Should a student become ineligible at midterm by receiving a failing grade in one or more courses, he/she won’t be allowed to participate in activities for a period of one week or one contest, whichever is greater, effective the Monday after midterm grades have been submitted. If he/she is still receiving a failing grade after one week, he/she will become ineligible for an additional week or contest. Ineligibility will continue until a student can maintain a passing grade in all courses. Students can regain eligibility by showing evidence of a passing grade to the principal or activities director. Students will then become eligible the following Monday after proof of passing all courses. The minimum requirement for ineligibility is one full week or one contest. If a student receives a failing grade in a course(s) for a quarter or semester, he/she will become ineligible for two weeks or two contests, whichever is greater. All SDHSAA requirements and policies must also be met. Students will still be allowed to practice during a period of ineligibility. During the school board meeting a question was raised about the possibility of students who might be in school just for the sports and what will those students be told. Lutheran Social Services of South Dakota works in partnership with the Dell Rapids School District to bring volunteer mentors to the elementary, middle and high school. Mentors visit with students for one lunch period each week and together read, play board games or just talk. Mentoring can lead to higher self-esteem, improved academics and fewer absences. Above all, it is a fun and rewarding opportunity for adults to make a difference in the life of a child! The beginning of the school year will be here soon and there are 15 students in Dell Rapids waiting for a mentor. Volunteers must be at least 18 years old and willing and able to spend one hour per week volunteering during the school day. To get started, potential volunteers need to complete an application and pass all background screens. All new volunteers are required to attend training before starting. For more information or to apply, contact LSS at 605-444-7803 or visit Mentoring.LssSD.org. 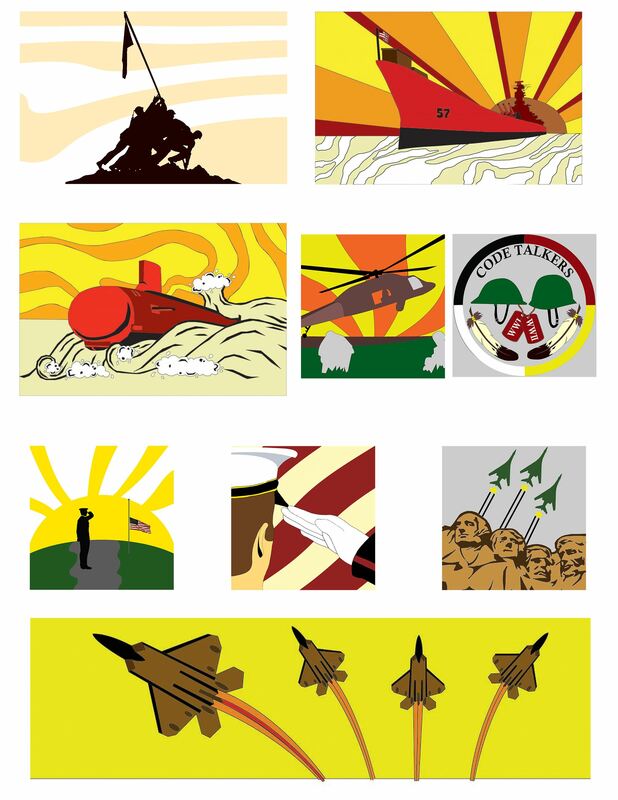 A Dell Rapids graduate had a significant role in the new Corn Palace mural designs. Chloe Solberg, a sophomore at Dakota Wesleyan University, was part of a team from DWU’s Digital Media and Design department that helped design nine different murals for the Corn Palace in Mitchell. The new murals will be made out of corn and grain and will be installed this summer and fall. The designs were announced about a month ago. Solberg, a Graphic Design major, just completed her freshman year at Dakota Wesleyan this past spring. During her freshman year, she did work study for Digital Media and Design Professor Kyle Herges. During her work study, she created sports posters, homecoming t-shirt designs, and club organization posters. “I really loved being a part of the work study because he (Herges) put me right into Graphic Design projects that really exposed me to experiences I needed as a freshman to set myself apart from my peers,” said Solberg. The other big project that Professor Herges assigned to Solberg was working on the Corn Palace murals. Solberg helped create three of the designs on the computer, Mt Rushmore, Iwo Jima, and Saluting Half-staff with the Sunset. Along with digitally working on those designs, Solberg also helped to other students, Isabelle Barraza and Liam LaFrance, by applying the big 10-foot by 30-foot designs on the mural paper. “I helped grid out the designs and draw out some of the designs. IT was quite a big project, and it took a few months, but in the end when we were all done, we were so satisfied with our outcome. I hope our designs can hit home with our veterans, because we were very honored to take on this project to represent our country and veterans. I cannot wait to see them up outside the Corn Palace, and I hope the Dell Rapids community can take a drive to Mitchell to see my designs!” Solberg said. Solberg was also involved in other campus activities. She’s involved as a Student Ambassador and campus ministries such as Monday Night Freshmen Ministry, Thursday Campus Chapel, and Worship Under the Stars.